We are a leading Manufacturer of earth compactor, diesel engine earth rammer and electric motor earth rammer from Coimbatore, India. To ensure a flawless range, these machines undergo various quality assurance procedures by our team of quality controllers. 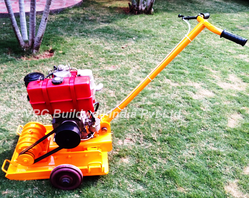 We offer Diesel Engine Earth Rammer. We offer Electric Motor Earth Rammer.